Please call (828) 254-2122 to make an appointment! This service starts with an annual visit for physical examination, vaccinations and parasite testing. This is the single most important program we provide all of our clients’ pets to get early detection and best possible outcomes for hidden medical issues. These annual visits also help pet owners understand the importance of balanced nutrition and the avoidance of obesity in their pets. When puppies and kittens are presented for their preventive exams, Dr. McCorkle has the opportunity to help owners get their pets off to a great start relative to housetraining, dental care, behavioral management and other issues. The primary focus of Mountain Valley Veterinary Hospital is to provide excellent medical services to every patient who visits our clinic in a manner that balances the needs of the pet with the wishes of the pet owner. Along with the practice of quality medicine, our staff places special emphasis on client communication--assuring that the pet owner understands the needs of their best friend. Our hope is that after experiencing our services, clients will elect to be a permanent member of our hospital family. We provide diagnosis and treatment for a wide array of health issues. Utilizing a full array of diagnostic tools to provide accurate assessment of medical problems, we are best able to initiate early and appropriate care. While diagnostic tools are very important when working with difficult medical cases, the instincts of an experienced veterinarian are critical relative to arriving at a timely diagnosis. If you have a question or wish to make an Appointment! Dr. McCorkle has taken care of our pets since 2003. He is knowledgeable and compassionate and very gentle. I remember one experience very well when one of our cats developed FUS and we had to take him to the emergency clinic as Dr. McCorkle was unavailable. They would not treat our cat without a $750.00 deposit and they would not take a check. They were kind enough to give him something for pain so we took him home. The following morning we took him to Dr. McCorkle. He cured him and kept him for two days the bill was amazingly reasonable. We were so grateful. He has cared for our three dogs and (at one time) four cats since. My family and I consider ourselves so fortunate to know him and his family and staff. We know our pets are always in the best hands. I'd just like to express my deep appreciation for the wonderful care my dog, Corniglia, has always received from the entire staff of Mountain Valley Vet Hospital. Corniglia is precious to me, but she can be difficult with other people. A "mommy" can tell by her pet's behavior during and after an interaction with someone whether or not that pet has been well cared for. Such is the case with Corniglia--it's obvious that everyone at the hospital is kind, caring, and thorough in their treatment of her. I would and do recommend Dr. McCorkle to anyone who is seeking a vet. I would not go anywhere else unless I absolutely could not come here !! I have found Dr. McCorkle and his staff to be the best ! They really love the pets we bring to them and I have no doubt they treat them as they would their own. My three dogs, Sasha, Indiana (Indy) and John, love Dr. McCorkle and all the staff and I know they felt secure when I had to leave them for treatments. They are not apprehensive when they have to go for routine visits ! So, I highly recommend Dr. McCorkle and Mountain Valley Veterinary Hospital to all dog, cat and animal care givers !! These folks are the real deal- a family run hospital of people who love pets and are more concerned with making sure they are taken care of than their own convenience. We booked a last minute visit for our sick dog and they made time (after 4 on a Friday). Every subsequent visit, they've been at the office long after their scheduled hours, making sure to accommodate the needs of their patients. They are kind, understanding and fair. Nothing but positive things to say. My mother has been using this vet for over eight years and they're accommodating, polite, and they really care about the animals here. I highly recommend them. Dr. McCorckle and his staff at Mountain Valley are among the most compassionate, caring, and professional veterinary workers I have ever had the pleasure of interacting with. This crew truly cares more about the animals they are treating than the payment they will be receiving. Dr Mccorkle is expensive but you wont get better care for your animal. He is very intelligent and very knowledgeable. I would never take my animals anywhere else. He is an excellent doctor. They may be alittle on the expensive side, but the care is outstanding. I have been going here (well my pets) for about 10 years, and the knowledge and expertise of the staff is well worth the touch more expense. I had a problem with my dog while on vacation and took him to a vet in that area, that vet suggested amputating a toe he thought it was cancer. Of course I held out until i could get him to my Vet. Dr M put him on antibotics for an infection and it healed fine. Our veterinary hospital is located on the west side of New Leicester Highway, approximately 2 miles from US-19 S/US-23 S/US-74 ALT W/Patton Ave. Look for our sign, and the driveway is just past the sign. The primary focus of Mountain Valley Veterinary Hospital is to provide excellent medical services to every patient who visits our clinic in a manner that balances the needs of the pet with the wishes of the pet owner. Along with the practice of quality medicine, our staff places special emphasis on client communication--assuring that the pet owner understands the needs of their best friend. Our hope is that after experiencing our services, clients will elect to be a permanent member of our hospital family. The practice of veterinary medicine is challenging and dynamic. As in all fields of medical care, new discoveries and treatments will continue to be ongoing. With so many tools and so much information available, reaching a diagnosis and planning a treatment option should be more straightforward than they have ever been in the past. Conversely, all of this technology comes at significant cost. What technology has made more possible, cost oftentimes makes less practical. One has only to look at human medical care to see how effectively high costs can derail quality care. We strive daily to keep the cost of caring for our client’s pets within reach of pet owners. In our full service hospital, combining good business decisions with good diagnostic skills has allowed us to keep costs in reasonable control. Our promise to our clients is to continue to work diligently to keep the value in veterinary medical care. 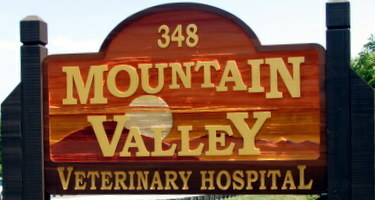 Dr. McCorkle and family have been operating Mountain Valley Veterinary Hospital for thirty years. The most unique thing about our hospital is that it has always been a one doctor practice staffed almost entirely by family. The only employee that is not family is Lisa, our head technician, and she has been at the practice for sixteen years--she certainly seems like family. This continuity creates a practice environment where we are all on the same page. 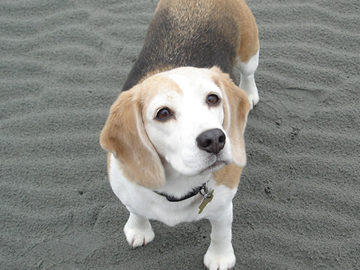 Every member of the team is familiar with our clients and their pets--both past and present. When our clients present a pet for ongoing care, they are guaranteed to interact with the same doctor and team that have provided all previous treatment. Without question, this is very unique in today’s veterinary market. Want to know about our Services? Dr. McCorkle has been providing a wide array of surgical services for soft tissue, dental and orthopedic needs for over 30 years. All surgery is performed by Dr. McCorkle to insure an experienced result. In the most technical cases, consultation with and referral to a surgical specialist is readily available. Early discharge from hospital to home after surgery is an important focus of our team, but overnight care is recommended whenever a pet’s situation warrants further observation. Dental disease is one of the most common diseases seen in our veterinary practice. While preventing this disease is straightforward, the consequences of ignoring oral health are very serious. Periodontal disease leads to oral inflammation, infection, pain, bad breath and tooth loss. In addition, more serious consequences such as jaw fractures, kidney disease, heart disease, urinary tract disease and others commonly follow. Preventing these problems requires that our veterinary team and each pet’s owner begin early in the pet’s life working for great oral health. In working to enhance the quality of life for every pet, maintaining great oral health is a top priority at Mountain Valley Veterinary Hospital. In an environment where pharmaceutical prices are out of control, we maintain a full pharmacy to provide immediate access to medications for most of the conditions we treat. There is no waiting in line for your alphabetized bag and never a jaw-dropping price surprise. In addition, we stock a supply of professional flea and tick products to customize a selection for each pet’s situation. 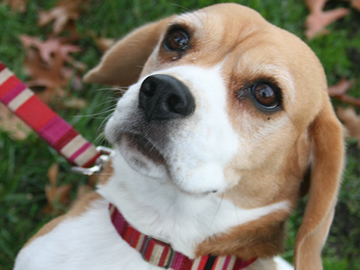 Dr. McCorkle understands how flea and tick infestations begin and how they should end. Have our staff recommend a protocol to end external parasite issues for your pet. Certainly, this is an important step in maintaining an excellent quality of life for our client’s pets. 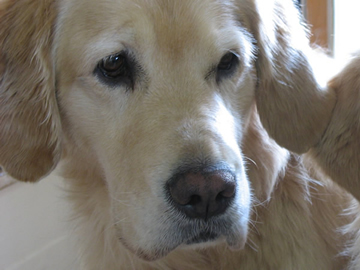 As important as lifelong healthcare is for our pets, understanding and dealing with end of life issues is one of our most important responsibilities. Dr. McCorkle has had many years of experience consulting with pet owners regarding the many questions and uncertainties that arise when their aging pets are dealing with terminal issues. Certainly, comprehensive pet care has to include professional handling of these situations. Dr. McCorkle provides compassionate end of life care to pets including consultation and humane euthanasia in hospital or at the pet’s home. Please call to make an appointment! "I would not go anywhere else unless I absolutely could not come here !! I have found Dr. McCorkle and his staff to be the best ! They really love the pets we bring to them and I have no doubt they treat them as they would their own. My three dogs, Sasha, Indiana (Indy) and John, love Dr. McCorkle and all the staff and I know they felt secure when I had to leave them for treatments. They are not apprehensive when they have to go for routine visits ! So, I highly recommend Dr. McCorkle and Mountain Valley Veterinary Hospital to all dog, cat and animal care givers !!" "These folks are the real deal- a family run hospital of people who love pets and are more concerned with making sure they are taken care of than their own convenience. We booked a last minute visit for our sick dog and they made time (after 4 on a Friday). Every subsequent visit, they've been at the office long after their scheduled hours, making sure to accommodate the needs of their patients. They are kind, understanding and fair. Nothing but positive things to say." "My mother has been using this vet for over eight years and they're accommodating, polite, and they really care about the animals here. I highly recommend them." "Dr. McCorckle and his staff at Mountain Valley are among the most compassionate, caring, and professional veterinary workers I have ever had the pleasure of interacting with. This crew truly cares more about the animals they are treating than the payment they will be receiving." 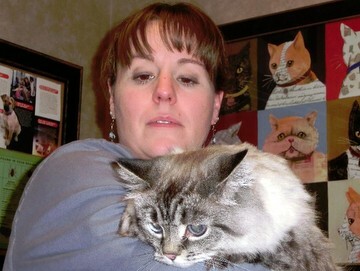 "Dr Mccorkle is expensive but you wont get better care for your animal. He is very intelligent and very knowledgeable. I would never take my animals anywhere else. He is an excellent doctor." "They may be alittle on the expensive side, but the care is outstanding. I have been going here (well my pets) for about 10 years, and the knowledge and expertise of the staff is well worth the touch more expense. I had a problem with my dog while on vacation and took him to a vet in that area, that vet suggested amputating a toe he thought it was cancer. Of course I held out until i could get him to my Vet. Dr M put him on antibotics for an infection and it healed fine." 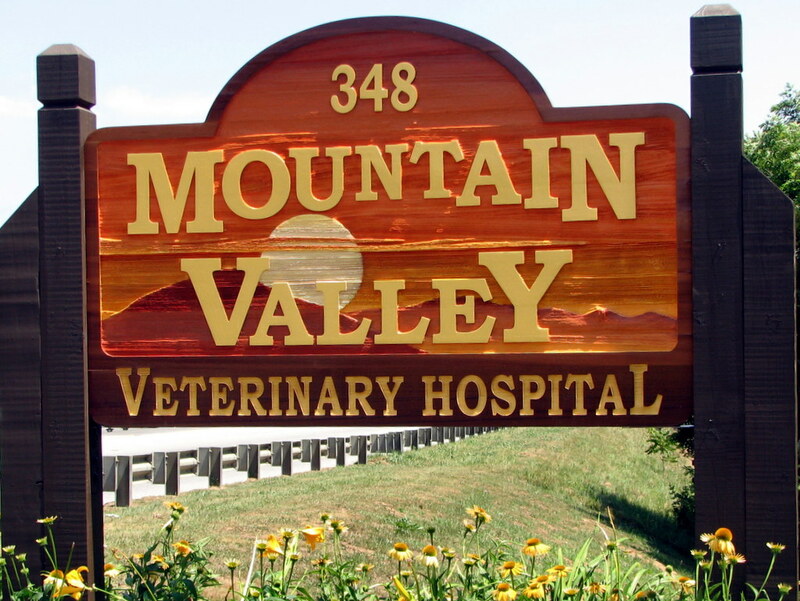 Dr. McCorkle and family have been operating Mountain Valley Veterinary Hospital for thirty years. The most unique thing about our hospital is that it has always been a one doctor practice staffed almost entirely by family. This continuity creates a practice environment where we are all on the same page. 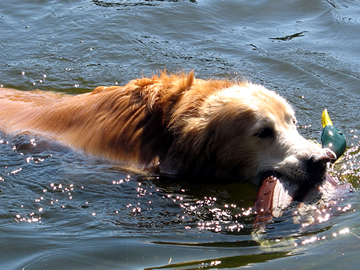 Every member of the team is familiar with our clients and their pets--both past and present. . Please be patient, as our new site begins to take shape. Check back often, as we continue to add more content. Copyright Mountain Valley Veterinary Hospital. All Rights Reserved.